The first annual Mann Financial Golf Classic, hosted by the Mann Financial Foundation, was held Aug. 20 at the Perham Lakeside Golf Course. The event drew more than 50 golfers and raised $5,000 for Hospice of the Red River Valley. 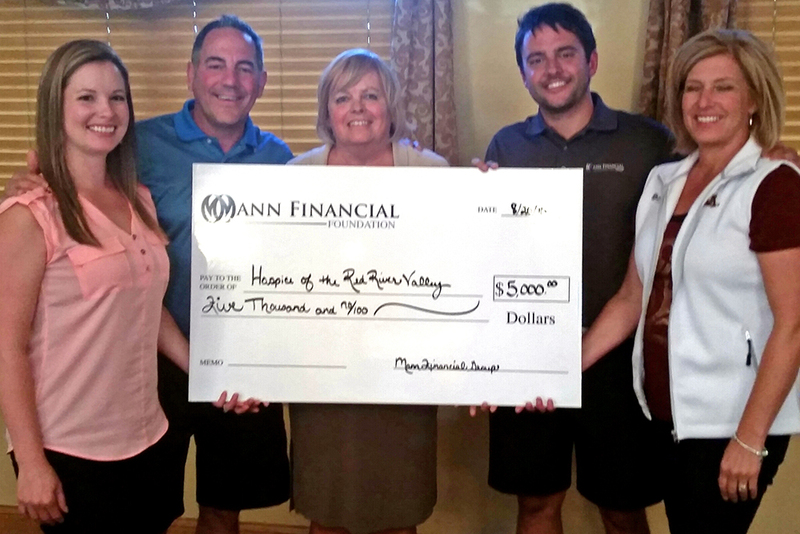 Thank you to the Mann Financial Foundation for their generous support of Hospice of the Red River Valley!